Manikarnika: The Queen of Jhansi is making headlines almost every day due to the clash between actress-director Kangana Ranaut and director Krish. While Kangana claims that, she shot maximum of the film after Krish left the film midway, Krish asserts that he shot the entire movie except for patch work. Seems like, a Telugu film too is going to face similar circumstances. 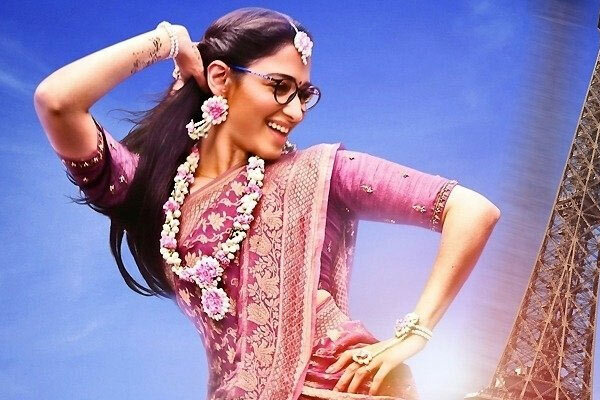 Milky Beauty Tamannaah Bhatia starrer That Is Mahalakshmi is slated for release soon. Director Neelakanta directed 50 per cent of the film which is remake of Hindi hit Queen. And he left the project owing to creative differences with Tamannaah. Then, Prashanth Varma of Awe fame was roped in to wrap up remaining works. Interestingly, in the promotional content, neither Neelakanta’s nor Prashanth’s name is included. Today, they released a lyrical video of the film where we couldn’t find any of the directors name. Apparently, they are still in dilemma whether to include only Prashanth Varma’s name or to give equal credit to Neelakanta as well. However, Neelakanta may demand to give him the due credit, if That Is Mahalakshmi gets positive talk after release! Nagababu Satire on Channel & Lokesh! ROFL! Cry on Ram Charan's Letter?